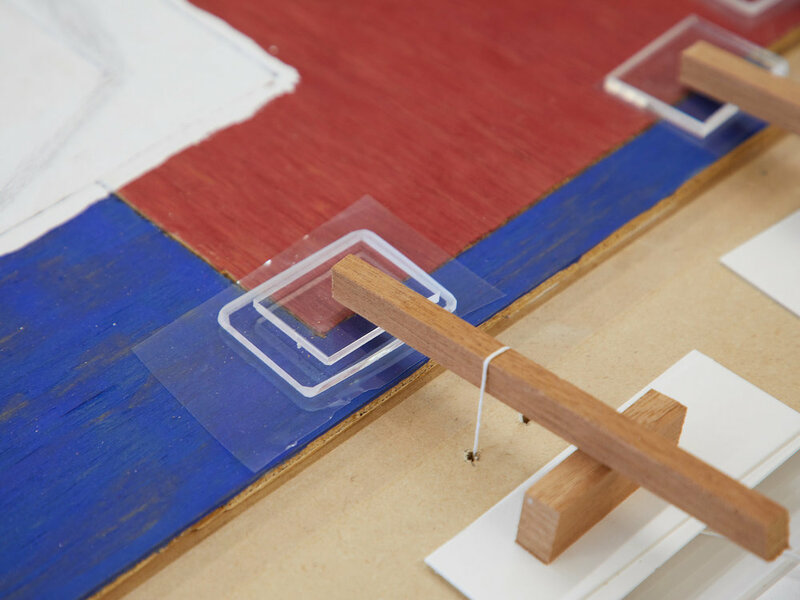 As an artist that is commonly known for creating intimate works out of common materials, Richard Tuttle uses manipulation and materiality to bring perceptual awareness to simple media. Although at first glance Tuttle’s work may appear improvisational, extensive planning and design are found within each piece. The Center encountered Tuttle’s careful craftsmanship firsthand when these works came to us from a private client for conservation and display options. 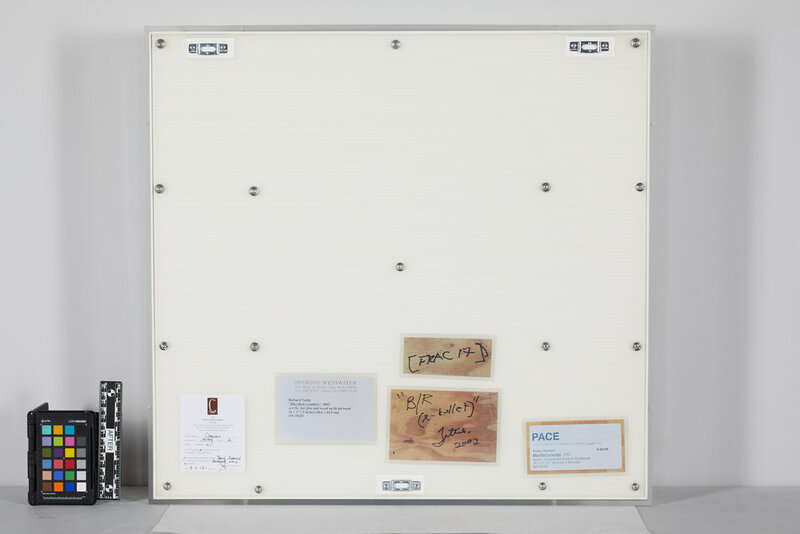 Adhering to the Visual Artists Rights Act of 1990, The Center collaborated with Richard Tuttle to determine the best treatment methods for the works, Blue/Red (white), and Blue/Red (x-bullet). After transporting the pieces to New York for the artist to review and approve the proposed treatment, Tuttle decided that surface cleaning was not necessary. Under his direction, the first phase of treatment began by re-adhering elements of the support and a small, detached element that Tuttle originally adhered using hot glue. Tuttle provided a reference photograph to show the exact placement of the detached element. 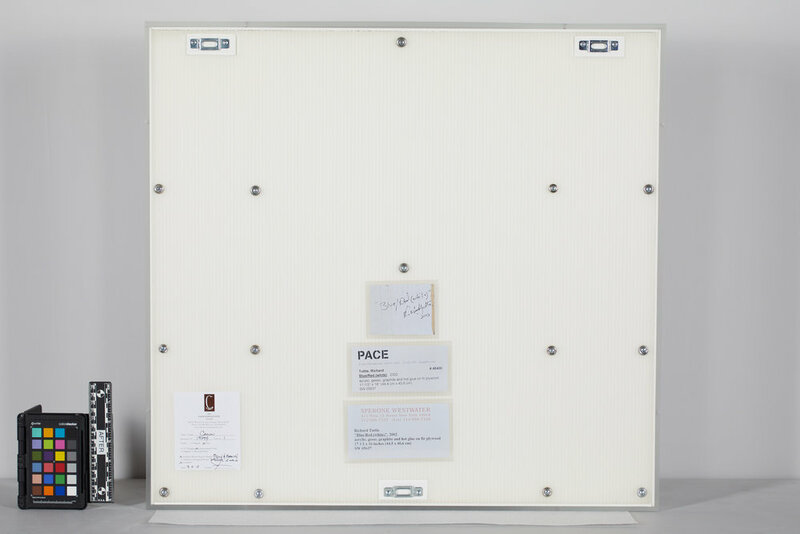 The two small holes in the piece were intended to function as a frame hanging system; to Tuttle, including nails within the holes was part of the piece, and he requested our conservators angle them slightly downwards.